Come join me on my journey as a writer at www.paulwwest.com where I share some writing tips I’ve learned over the years. 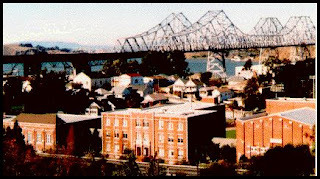 Also, you can find my novel “Bridgetown High,” set in Crockett, California at https://www.amazon.com/dp/1680583093/ref=cm_sw_su_dp. It’s an intriguing look into the minds of teenagers during the 1960s. Enjoy and pass this on to all your friends. Hi to all my friends, followers and family. I hate to do this, but I need to let you know that this is likely to be my last post for a while. I'm finding it difficult to write these blog posts every week and still find time for actual writing. Based on the actual number of comments I've gotten from all of you in my audience over the past couple of years, it doesn't appear there are very many people actually reading these posts anyway. I will probably be back in a few months. I just need some space right now to put into practice what I've been teaching here. 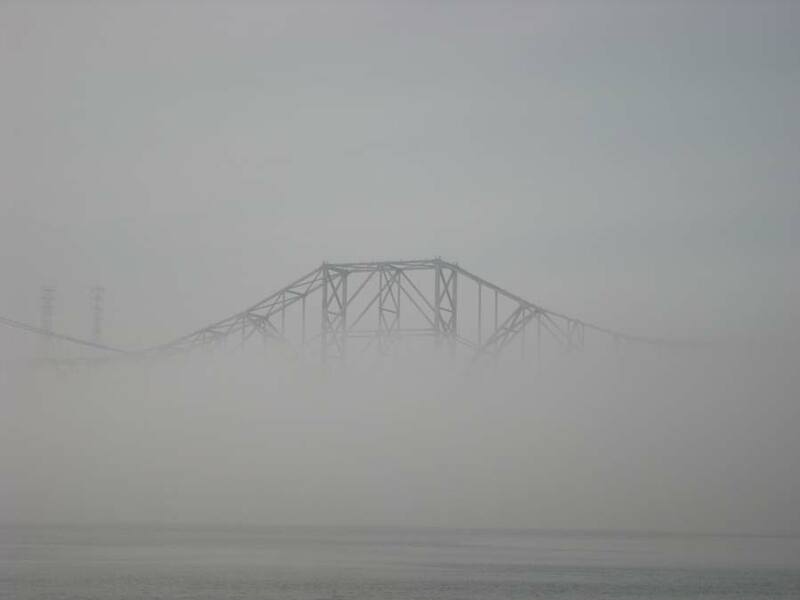 It's been fun, but for now I need to do actual writing, and decide whether I want to continue with my Bridgetown High sequel called The Bridge Beckons, or resume work on another book I've wanted to finish. Some of you might remember me talking about GERTA! In the meantime, keep going with your own writing and if you need help with something, please feel free to contact me at paulwwest@yahoo.com. I'd love to hear from you, and I'll be happy to answer any questions, or help you with any issues you may have as best I can. Hi, to all my faithful friends and followers. After inundating you all with "how to writing" information I thought maybe today I'd try a different tack. I realize most of you don't have any idea who I am. I know some of you do and well, maybe you've read my bio. That does give you some idea of who I am and where I'm coming from, but I thought for today I'd give you more specifics. 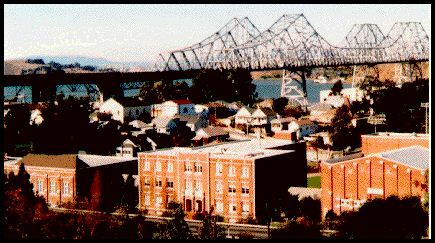 In case you haven't figured it out yet, I attended John Swett High School (Class of '65) in Crockett, California. This is the model for the school described in my novel BRIDGETOWN HIGH. I loved that school, and the kids who attended with me, as well as the teachers who were some of the greatest teachers I ever met. I suspect most of them have passed on to the Spirit World by now. This is where I played French Horn in the Concert band, and the Alto Sax in the Marching Band. I know. Those are quite different instruments, but I couldn't march with a French Horn, or even the so-called "E-Flat," or "Peck Horn" the director wanted me to play in the marching band. That horn just wasn't cool, but everyone loved a sax player. Those were also the days of Paul Desmond and Dave Brubeck, some cool and great musicians. These were the days when I met and kissed my first girlfriend. More about that on another day? -- not -- too personal, but she knows who she is, and I think she may be following this blog. So, that's about it for now. If any of you have any experiences like mine, I'd love to read about them on my Fan Page on Facebook, or as a comment at the end of this post. If you have any questions you'd like me to answer about writing and publishing, or where I grew up, I'll try to answer as best I can. In the meantime, I'd love to have your email address so I can send you announcements of upcoming events like the blog tour / Media Blitz I am scheduling for the first or second week in October. I will possibly reduce the price of my e'novel (BRIDGETOWN HIGH), so if you haven't got a copy yet, now would be a great time to buy one. Hi to all my faithful followers, and family too. How is your book going? 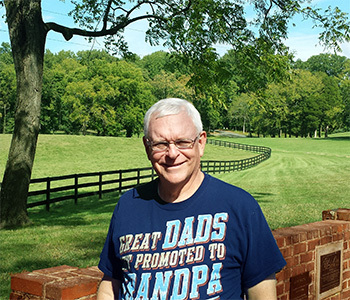 I apologize for not posting last week but I was out of town tending my twin grandsons. What a delight they are. They're 6 years old and smart as anything. They were like guides and knew everywhere we wanted to take them, and how to get there. I don't think we could have gotten lost if we wanted to. So, I've been thinking of what writing lesson I could post that would help you with your writing. I know what it's like to be stuck, staring at a blank page on your computer screen. Been there, done that, no fun. I got this bit of advice from Dean Koontz's book "How to Write Best Selling Fiction." he stated on page 239 and 240, "Do not worry about or be scared by that dreaded nemesis, the Writers' Block." He goes on to say, "... when you sit down to work, begin by retyping the last page or two that you finished the day before. Look for small ways to improve it.... This little trick will put you back into the mood you were in when you were working steadily and happily the previous day...."
But what if you haven't started writing yet, and I suspect some of you are in this category. I can't find it right now, but I'm sure Koontz said something like as well. He said we should play with some wording, some ideas that pop in your head, etc. Go head and put them into your computer. Keep doing that until something of a story develops. Write as much and as fast as you can. Don't stop to make correction, keep writing. Then, when you come to the end of your writing day, save it and leave it until the next day. Then, you can make all the corrections you need until as stated above, you come to where you left off and you're off and writing. I hope this helps. It helps me, I know. If you have any concerns about your writing, or any ideas you would like to share, drop me a note in the comments section below. Until then, keep writing and I want to see your best-selling novel. 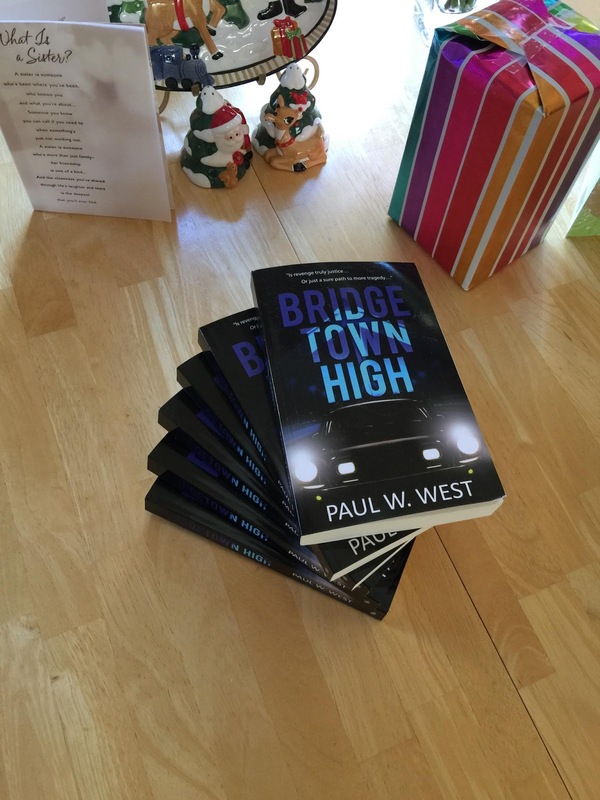 If you haven't yet, please get a copy of my novel, BRIDGETOWN HIGH where you can see how all my techniques I've written about in this blog have worked. And, if you feel so inclined, leave a review on both Amazon and Goodreads. So, until next week, I wish you happy writing. It truly is addicting, the good kind. Hi, to all my faithful followers and friends (all the same). Today's post won't be long. I just want to inform you of two exciting events coming up. No, it's not about a cover reveal for my next novel. 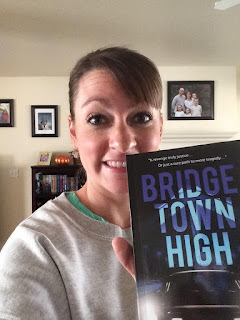 Rather, it's about two almost as exciting events, at least I think so, and that is two upcoming blog tours/media blitz for my novel BRIDGETOWN HIGH. Also, my book is being sent out again for reader's review. I'm hoping these events will make my book more visible that will, hopefully, turn into sales. At least it should help my book to raise higher on Amazon's ranking. The first tour will be done from September 14 thru 20, and the second will be the first week of October. Another exciting thing is that YOU can help. If you sign up by sending me your email address you will be entered. Then, when the events are happening, the tour companies will send you an (for want of an better term) advertisement. Then, all you need to do is forward it to all your Facebook and Twitter "friends," or anyone else you can think of. That's it. Just send your email address to paulwwest@yahoo.com. Thanks in advance as I'm sure all of you will be willing to help. And, in case you haven't yet, BRIDGETOWN HIGH is still available at Amazon in both paperback and Kindle. Did you miss me? Being gone for two weeks makes for a long wait between my postings. I just got a message from a man looking for help with his writing. Someone had referred him to me as thinking I could help him with his career. I felt inadequate as his writing goals seemed a lot higher than mine, but I tried to help and referred him to this posting. However, by the time I wrote back to him, his message disappeared and I felt frustrated not being able to respond and maybe even help him. If this person was you, please contact me again, or comment below. For today's post I though I would talk a little about characters. I for one, prefer to read about someone who feels real, verses cardboard characters. "If your heroine is a beautiful actress, a fine painter, and engineer, a cabinetmaker, a superb cook, a daring test pilot, a whiz at electronics, a doctor, a lawyer, and an Indian chief, don't you think you ought to humanize her at least to the extent of giving her a zit on the end of her nose?" I know these sound a bit flippant, even humorous, but there's a lot of truth there. Your characters must be real if you expect to write "best-selling fiction." So, how are your characters developing. 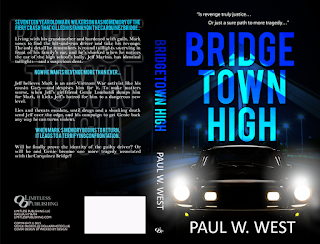 In my novel, "Bridgetown High," I tried my best to develop all the main characters, even to the point of going into the heads of Jeff Marino, the antagonist as well as Mark Wilkerson, the protagonist. I think I succeeded. 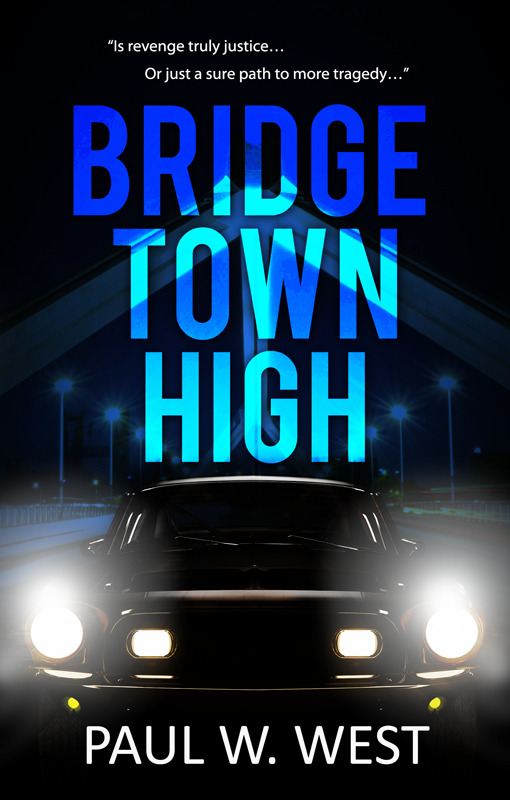 Reviews of "Bridgetown High" have almost always been positive and one of the main things reviewers point out is the realism of the story and its characters. So, until next week, keep working on your novel and take a minute to read mine, if you haven't already https://www.amazon.com/dp/1680583093/ and it would be great if you would write a review to help Amazon and Goodreads to rate my novel at a level it is worth. The higher my ranking the more likely my book is to sell, and you can say you were a part of it. Thanks to all of you for making this effort a success. A wonderful high to all my great friends and family (er. that should be "hi" not "high). I'm sure most of you will understand, ha ha. First, before I proceed, I need to let you know that I won't be here next week. But keep checking and come back every week and even re-read some of my older posts so you can make fun of all my goofs, he he. I saw an interesting discussion this last week on Goodreads. The title of the discussion was "Should life lessons be part of YA novels?" What do you think? Should they, or not? Have any of you thought about that in your writing? I have, and I think the answer is "yes," BUT! A huge BUT here. If you are to do that, keep in mind, kids aren't stupid. They can usually see through the lesson material, so make sure you're not being preachy. Most kids are looking for answers to life's problems, especially their problems. One commenter (me) offered the following: "In every novel I've read, and had any real impression on me, the main character (and possibly others) have had a life changing experience by the end of the novel. If it didn't, the book was meaningless. That being said, the reader should be able to somehow identify with the main character(s) and gain a lesson vicariously. 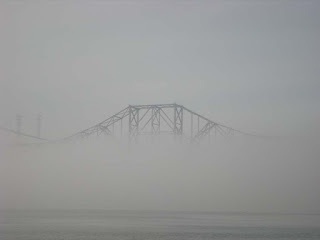 In my novel, Bridgetown High," the main character "Mark" starts out hurt and angry. He wants to get revenge on the person who killed his family. By the end of the book, he learns who the killer is and it's like a rug was pulled out from under his feet. He doesn't know how to react. That same commenter (me) also stated: "In almost every novel, there's a protagonist and an antagonist. Hopefully, by the end of the book, the protagonist overcomes s the antagonist and in that effort he/she learns something or grows as a result." I hope you're having a wonderful first part of summer. So far, here in Utah, it's been hot, but today was quite mild, mid-80s. But by Independence Day, it's supposed to bet up to near 100. I apologize for not writing anything last week. It was a crazy week. Anyway, today I want to ask you a question and get some feedback from you, all my faithful followers. What do you think? She died. The main problem I see is how can she tell us about it if she's dead? I hope you will add a comment to this blog post and let me know what you think. If you do, consider that you are helping to write a novel. I know you are probably doing that anyway, aren't you? Right? I thought today I would talk about antagonists, or the bad guys and girls. A lot of the time, I read stories that don't describe the antagonists beyond maybe facial features, body build, and maybe skin and hair color. They also usually give the antagonists a motive for why they are antagonists, but that's it. While these things are important, there should be much more in depth descriptions. In my novel, BRIDGETOWN HIGH, I went into a lot of descriptions of Jeff Marino. I not only portrayed him as a bully, but also as a poor boy from the proverbial wrong side of the tracks, a boy with no family life, his mother works two jobs just to keep food on the table and a roof over their heads. He has only one friend, Bobby Baker, who tries to help. Jeff has one great passion, Genie Lombardi, a protagonist. He is in love with her and she becomes the reason he hates Mark Wilkerson (the main protagonist). As the story unfolds, Jeff looses Bobby to a horrible accident (you'll have to read the book to find out how). I described in detail how he felt, how he mourned for his best friend, almost like a brother. He then goes through what I think is a metamorphosis. He begins to blame everyone he associated with, especially Mark. He even blames Genie who dumped him for Mark. In short, I describe what's going on in his mind, how he changes and wants revenge. If you're serious about writing, take my advice when it comes to the antagonist. Get into his/her head to make him/her real, to come alive on the pages. Good luck. I hope that encourages you, not discourages you. For me, writing is in my blood. I just can't quit. I hope my next novel, a sequel to BRIDGETOWN HIGH, will be as well written. So, until next week, as always, if you like this blog/message, please remember to "Share" and "Like"it on Facebook , and "Tweet" or "Retweet" it on Twitter. Then PLEASE, take five minutes to write a review and post it on Amazon. I need all the reviews I can get to make this book a success. Also have you signed up for my email letters on my Blog Site? I would love to see you there and have you introduce yourself and give comments, good or bad, to this blog. And also keep in mind "BRIDGETOWN HIGH" is still available at Amazon. 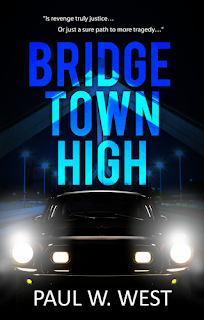 You can read some GREAT reviews of BRIDGETOWN HIGH on Amazon and Goodreads in case you need more info about my novel. Almost everyone who has read it, loved it. See y'all next week, and happy writing.